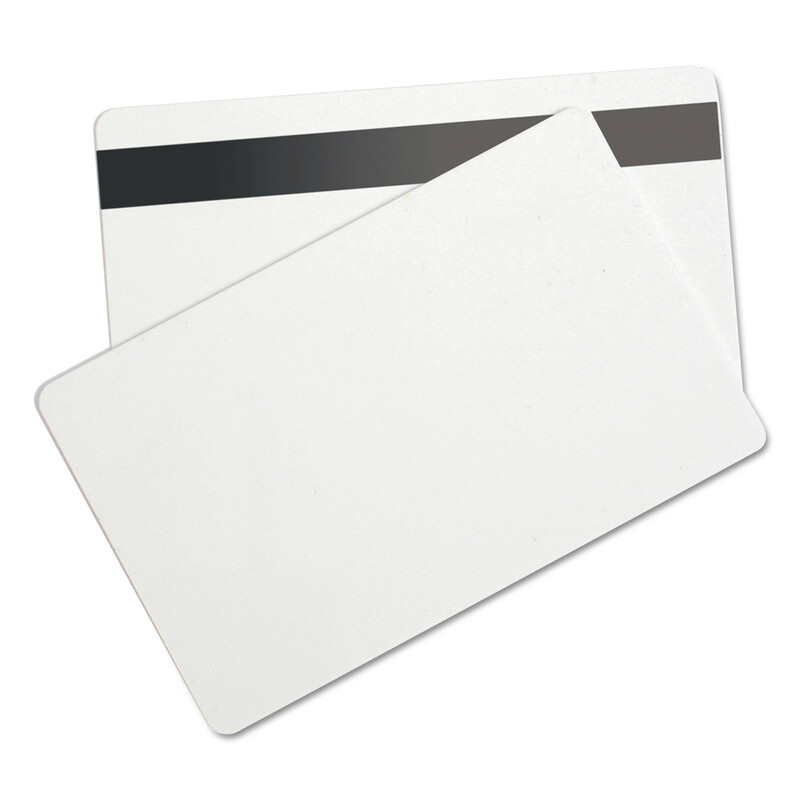 These video grade 100% PVC blank cards are ready to be imprinted as ID badges or security passes. You can print these cards for medical personnel, banking staff, visitors, teachers, students, government and military personnel and more. Whether you need an identification card, security patch or other ID, these blank cards make it a simple task to design and print your own customized badges. 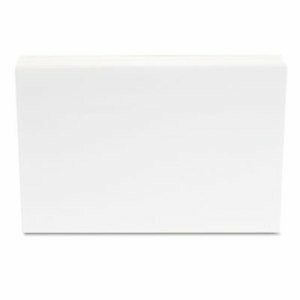 Name Badge Label Length: 3 3/8"; Name Badge Label Width: 2 1/8"; Name Badge Label Color(s): White; Name Badge Label Material(s): PVC. Keep your train of thought on track. 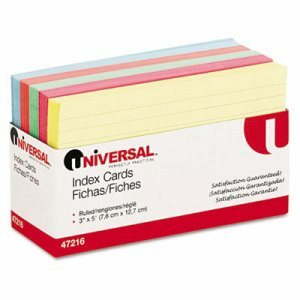 An essential for students and speakers, index cards are the classic thought organizer. Acid-free. Ruling: Ruled; Card Size: 3 x 5; Color(s): White; Card Quantity: 100. Keep your train of thought on track. 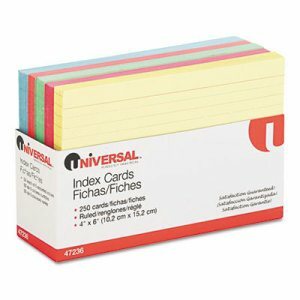 An essential for students and speakers, index cards are the classic thought organizer. Acid-free. Ruling: Ruled; Card Size: 5 x 8; Color(s): White; Card Quantity: 100. Keep your train of thought on track. 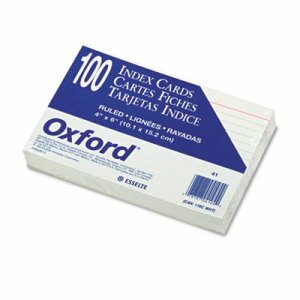 An essential for students and speakers, index cards are the classic thought organizer. Acid-free. Ruling: Plain; Card Size: 3 x 5; Color(s): White; Card Quantity: 100. For presentations and study aids, these are the perfect cards to have on hand. Precision engineering ensures uniform sizing. 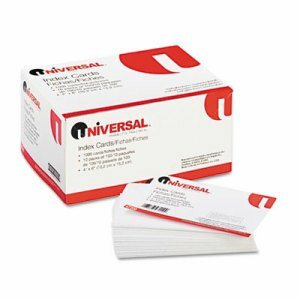 Commercial-quality card stock provides enhanced stiffness and durability. Ruling: Ruled; Card Size: 4 x 6; Color(s): White; Card Quantity: 100. For presentations and study aids, these are the perfect cards to have on hand. Precision engineering ensures uniform sizing. 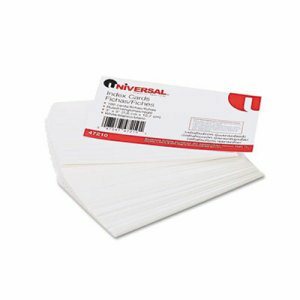 Commercial-quality card stock provides enhanced stiffness and durability. Rule lines and border bar are color coordinated. 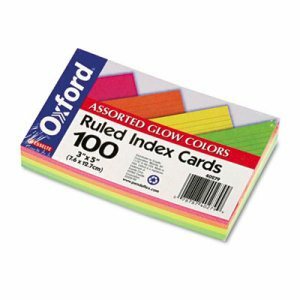 Ruling: Ruled; Card Size: 3 x 5; Color(s): Assorted; Card Quantity: 100. Keep your train of thought on track. 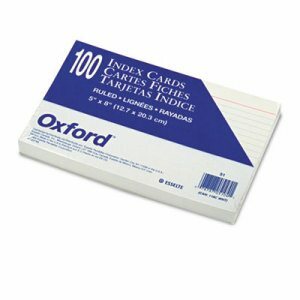 An essential for students and speakers, index cards are the classic thought organizer. Acid-free. Ruling: Ruled; Card Size: 4 x 6; Color(s): White; Card Quantity: 100. Keep your train of thought on track. 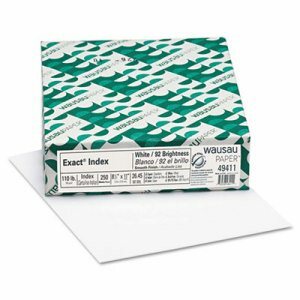 An essential for students and speakers, index cards are the classic thought organizer. Acid-free. Stock up and Save! Ruling: Ruled; Card Size: 3 x 5; Color(s): White; Card Quantity: 500. For presentations and study aids, these are the perfect cards to have on hand. Precision engineering ensures uniform sizing. 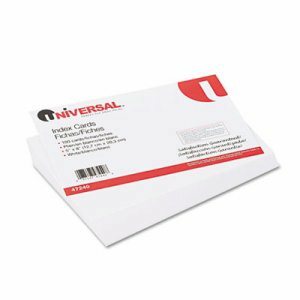 Commercial-quality card stock provides enhanced stiffness and durability. 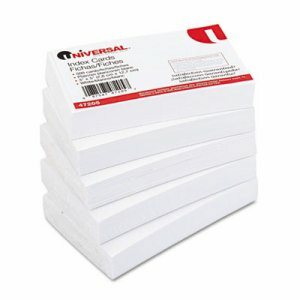 Ruling: Plain; Card Size: 3 x 5; Color(s): White; Card Quantity: 100. Perfect for taking notes, studying or working. Covers allows for color coding your notes by subject or class. Durable poly cover with elastic band closure. Ruling: Ruled; Card Size: 3" x 5"; Color(s): White; Card Quantity: 100. Durable index card file is easy to assemble�just snap together and begin filing. Sturdy black fiberboard with a water-resistant laminate. Steel corners. Chrome label holder on front. 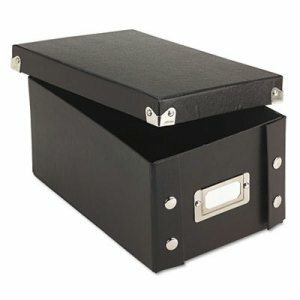 Card Holder Type: Card File Box With Lift-Off Lid; Card Capacity: 1,000; For Card Size: 4" x 6"; Color(s): Black. Keep your train of thought on track. 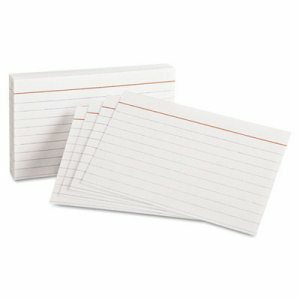 An essential for students and speakers, index cards are the classic thought organizer. Acid-free. Stock up and Save! Ruling: Plain; Card Size: 4 x 6; Color(s): White; Card Quantity: 500. For presentations and study aids, these are the perfect cards to have on hand. Precision engineering ensures uniform sizing. 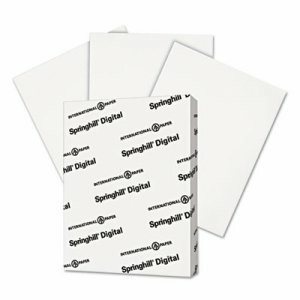 Commercial-quality card stock provides enhanced stiffness and durability. Ruling: Ruled; Card Size: 3 x 5; Color(s): White; Card Quantity: 100. 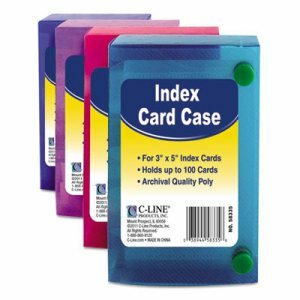 Keep your index cards organized with this durable polypropylene case. 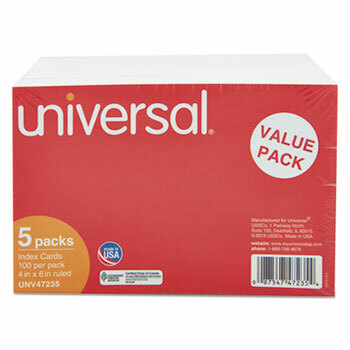 Features snap closure and includes five dividers and adhesive label tabs. Acid-free, archival quality polypropylene. 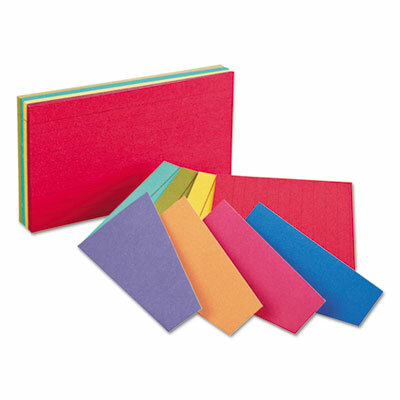 Card Holder Type: Index Card; Card Capacity: 100; For Card Size: 3 x 5; Color(s): Assorted. 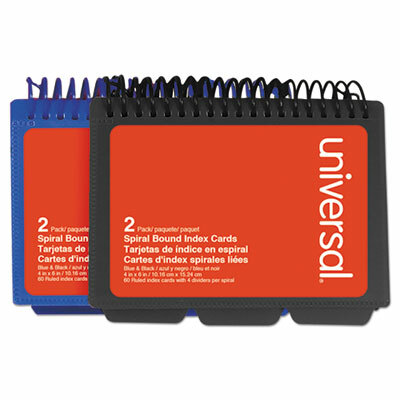 Keep all your notes together and organized in one convenient place. Four adjustable dividers and perforated cards for easy identifications and organization. Personalize the clear view cover with any photo, schedule or document. Durable poly cover resists wear, tear and moisture. Ruling: Ruled; Card Size: 4" x 6"; Color(s): White; Card Quantity: 120. Keep your train of thought on track. 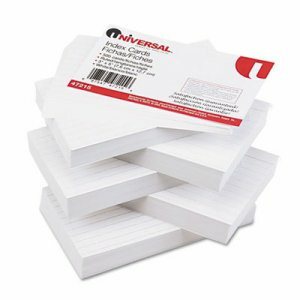 An essential for students and speakers, index cards are the classic thought organizer. Acid-free. Stock up and Save! Ruling: Ruled; Card Size: 4 x 6; Color(s): White; Card Quantity: 500. Keep your train of thought on track. 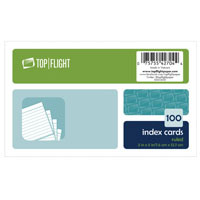 An essential for students and speakers, index cards are the classic thought organizer. Acid-free. Ruling: Ruled; Card Size: 4 x 6; Color(s): Assorted; Card Quantity: 100. Unique, vivid colors gets cards noticed and are easy to find. Four wild color combinations in each pack. Different color on each side. Ruling: Ruled; Card Size: 4 x 6; Color(s): Assorted; Card Quantity: 100. Keep your train of thought on track. 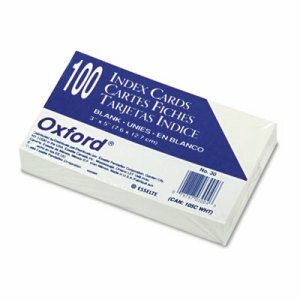 An essential for students and speakers, index cards are the classic thought organizer. Acid-free. 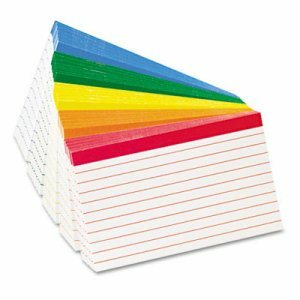 Ruling: Ruled; Card Size: 3 x 5; Color(s): Assorted; Card Quantity: 100. For presentations and study aids, these are the perfect cards to have on hand. Precision engineering ensures uniform sizing. 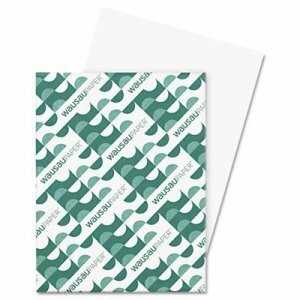 Commercial-quality card stock provides enhanced stiffness and durability. Ruling: Ruled; Card Size: 5 x 8; Color(s): White; Card Quantity: 100. For presentations and study aids, these are the perfect cards to have on hand. Precision engineering ensures uniform sizing. 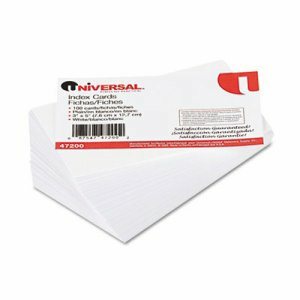 Commercial-quality card stock provides enhanced stiffness and durability. Ruling: Plain; Card Size: 3 x 5; Color(s): Cherry; Card Quantity: 100. This card storage box is constructed of stiff paper-board with lift-off top. Great for storing index cards, invitations, photos, and knick-knacks. 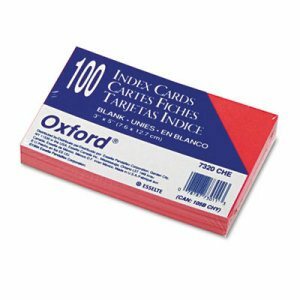 Incudes 100 index cards per box. Card Holder Type: Index Card Box; Card Capacity: 300; For Card Size: 3" x 5"; Color(s): Gray. 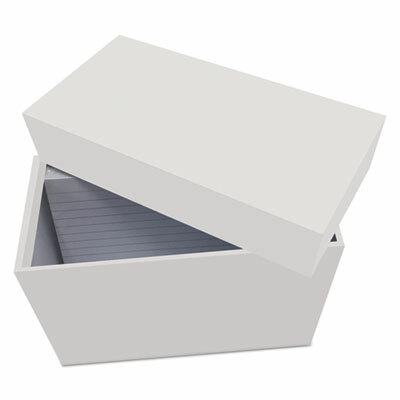 This card storage box is constructed of stiff paper-board with lift-off top. Great for storing index cards, invitations, photos, and knick-knacks. 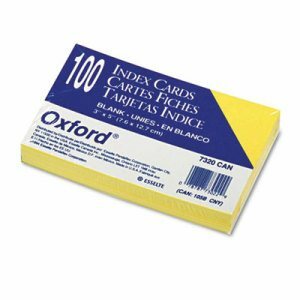 Incudes 100 index cards per box. Card Holder Type: Index Card Box; Card Capacity: 400; For Card Size: 4" x 6"; Color(s): Gray. For presentations and study aids, these are the perfect cards to have on hand. Precision engineering ensures uniform sizing. 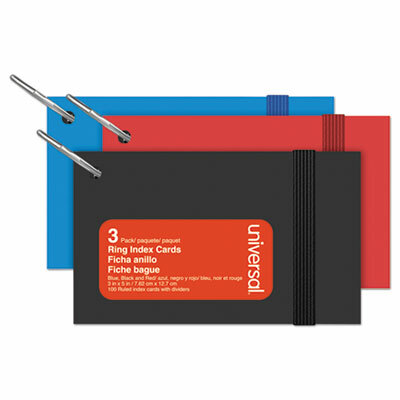 Commercial-quality card stock provides enhanced stiffness and durability. Ruling: Ruled; Card Size: 3 x 5; Color(s): Assorted; Card Quantity: 100. For presentations and study aids, these are the perfect cards to have on hand. Precision engineering ensures uniform sizing. 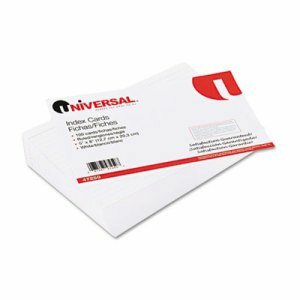 Commercial-quality card stock provides enhanced stiffness and durability. Ruling: Plain; Card Size: 3 x 5; Color(s): Canary; Card Quantity: 100. Smooth, hard finish offers excellent printability, whether you use ink or toner. Good ink holdout, snap, and resistance. Exceptional die-cutting, scoring and folding characteristics. 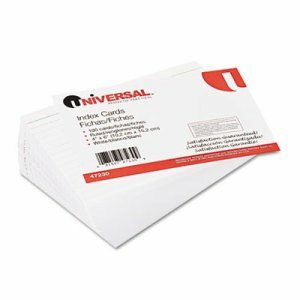 Ideal for index systems, file cards, case records, ruled forms, menus, brochure covers, direct mail, and counter displays. This product was made from wood sourced from a certified managed forest. Size: 8 1/2 x 11; Paper Color(s): White; Paper Weight: 90 lb; Sheets Per Unit: 250.